Police and Fire Federal Credit Union is a Philadelphia area credit union open to Philadelphia police officers, firefighters and their families. You can also gain membership by belonging to specific Philadelphia area groups, associations, and organizations. Who is the Police and Fire Federal Credit Union Good For? Limited to the greater Philadelphia region of the U.S. Learn more about the types of accounts that PFFCU offers below. Police and Fire Federal Credit Union has one excellent checking account that combines all kinds of great perks into a single account – with no hoops to jump through. Overdraft fee for item fee for debit card purchases is only $6. Most banks offer rates of .03% to .05% on the majority of their checking accounts at this level – some offer no interest at all. That’s why this 1.00% interest bearing checking account is particularly good for people who keep less than $5,000 in their checking accounts. PFFCU has 4 different savings accounts that vary in APYs depending on the amount you have available to deposit. None of these accounts have monthly fees. If you have less than $2,500 to put into a savings account, you will earn better interest in the Police and Fire Federal Credit Union checking account, which pays a 1.00% APY on the first $5,000 in the account. This is ten times the basic savings rate. However, if you have $2,500 or more that you can leave in a savings account then the Premium Yield Account has a better rate of 1.550%, which is a much more competitive rate than most traditional brick and mortar banks. Like their savings and checking accounts, certificates are federally insured for up to $250,000. Each certificate has a minimum purchase of $1,000. Ladder your CDs. If locking up all your money for five years isn’t practical, you can set your CDs in a ladder. CD ladders work well at credit unions and banks with multiple terms on their CDs. For example, if you have $5,000 to save, then you can put $1,000 each in a one-year, two-year, three-year, four-year, and five-year CD. As the one-year CD matures, you can then put that money in a five-year CD, and continue the same cycle as each CD matures. By doing this, you will have CDs maturing every year and be able to take advantage of the highest interest rates. IRAs allow you to save money for retirement in tax advantaged accounts. Police and Fire Federal Credit Union allow you to save money in two types of IRA accounts – money market and CDs. Both types are federally insured up to $250,000. The APY on the IRA Money Market is 1.750% and the APYs on the CDs are the same as the traditional CDs above. Compared to traditional brick and mortar banks, these IRA rates are competitive. Since an IRA is a savings for retirement, then it is wise to max out the term of your CDs in order to get the highest rates (rather than do a CD ladder). If you are retiring in less than five years and will need the funds sooner, than you may want to opt for a shorter term. There are two types of unsecured credit available at PFFCU – personal lines of credit and personal loans. A personal line of credit can be taken out at any time – up to the limit and reused once it is paid. A personal loan is taken out all at once and is normally used for larger purchases or consolidating debt with higher interest rates. These unsecured loans have competitive rates compared to other lenders who sometimes charge 24.99% interest or more for unsecured loans. They offer a rewards card with 1 point awarded for every $1 spent. Rewards points are redeemable for cash, discounts, and merchandise. PFFCU also offers a traditional credit card with no rewards. Since interest rates are the same on both cards (11.15% to 18.00%) and neither have annual fees then it makes sense to get the rewards card and collect the free cash and bonuses. At Police and Fire Federal Credit Union you can take out an auto loan or refinance an auto loan that was taken out at a higher rate of interest. The rates on auto loans are highly competitive and based on income, model year of car being bought/refinanced, and credit worthiness. Rates range from 3.65% to 6.15%. The minimum loan amount is $7,500. Like many other credit unions and banks, you can apply before you go shopping for a car and get your auto loan in the form of a check. This allows you to negotiate at the dealership (or private sale) from a position of power – with cash already in hand. Home Equity Loans – for those looking for a low rate of interest on a secured loan for major purchases. Like their auto loans, Police and Fire Federal Credit Union has exceptional rates on mortgages. For consumers with excellent credit scores of 740 or above, rates can be as low as 4.213% APR and as high as 4.650% APR. But even if you don’t have a credit score that high, you can still get an excellent rate with PFFCU by simply applying online to see what you qualify for. To find the application, click the appropriate button on the side of the “real estate loan” page. To open an account at PFFCU you must be a Philadelphia fire fighter, police officer or family member of a Philadelphia fire fighter or police officer. 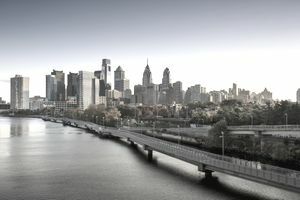 You can also hold membership in many Philadelphia area organizations, associations, or employee groups. If you qualify for membership you can apply online with your social security number, valid state or federal ID, current physical mailing address, and current funding source. You can also apply at any of the branches. Police and Fire Federal Credit Union offers in person, telephone customer service, and e-mail. Telephone customer service can be reached at 215-931-0300 or 800-228-8801 and is available Monday to Friday 8:30 a.m. to 6 p.m. and Saturday 8 a.m to 4 p.m. Branch hours are available Monday to Wednesday 8:30 a.m. to 6 p.m., Thursday to Friday 8:30 a.m. to 7 p.m., and Saturday 8:30 a.m. to 4 p.m.
Their contact e-mail is memberservice@pffcu.org. The Police and Fire Federal Credit Union was chartered in 1951 and is a member-owned, not-for-profit financial institution. It requires membership as outlined above. PFFCU has an easy to navigate and easy to use website with standard banking encryption. And while breaches are possible at any institution, the Police and Fire Federal Credit Union doesn’t have a history of data breaches. PFFCU has highly competitive interest rates on loans and mortgages as well as attractive APYs on checking, savings and CD accounts. They are federally insured through the National Credit Union Share Insurance Fund, which functions the same way as the FDIC. Police and Fire Federal Credit Union is a solid choice for qualified members who want a community banking experience and excellent rates. With a high checking APY and competitive rates on savings and CD accounts you can earn on the money you have in your accounts. Branches have extended hours on Thursdays and Fridays, which makes banking convenient if you have a branch close to you. Customer service is also available by phone and real humans are easy to reach. ﻿You must meet membership standards to qualify to be a member of PFFCU, and since they are a regional credit union there are no branches outside of the greater Philadelphia region. If you don’t live in the area or don’t qualify for this credit union but would like credit union perks it’s a good idea to look around and do some research. Most people can qualify to join a credit union based on where they live or an organization they belong to, but you often have to do some research to determine which one will work for you.